Check out this Epic speech given that is one for the ages! CBS Houston - Apollos Hester (Sr.) was fired up after the East View Patriots came back to beat the Vandergrift Vipers 42-41 to stay undefeated on the young season. 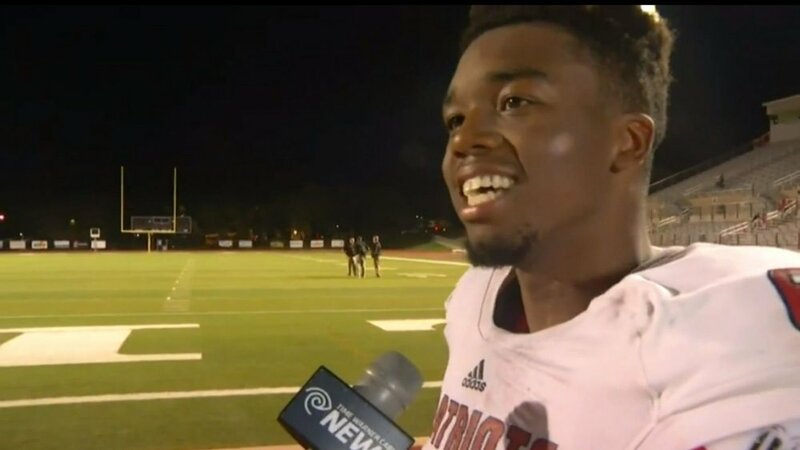 During a local TV post game interview, Hester took the time to not only open up on why his team was able to stay positive and triumph, but to impart some wisdom on the people watching and the now almost one million people who have watched on YouTube since Sunday. And this video defiantly helps with Hester’s main point. Just keep smiling. Hester had a touchdown in the game for the Patriots, but MaxPreps didn’t yet have full stats for East View’s game this week. I'm pumped now, are you?